Governor Tom Wolf was inaugurated this week to begin serving his second and final term as Pennsylvania’s chief executive. 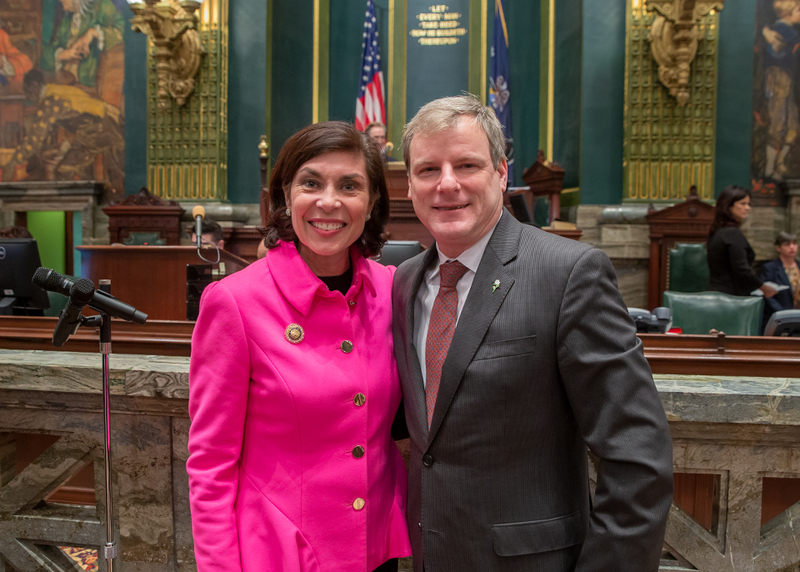 I was honored to host York City Mayor Michael Helfrich in Harrisburg to celebrate the inauguration ceremony. I look forward to working with the Governor and all of the members of the General Assembly to achieve the priorities of the citizens of the 28th Senatorial District. Human trafficking is one of the most despicable crimes imaginable, and unfortunately this unique brand of evil affects communities of all shapes and sizes throughout Pennsylvania – including York County. Representative Seth Grove and I recently unveiled the “Buyer Beware Act,” legislation that will strengthen penalties against all purveyors of this horrible offense, including the people who advertise or pay for the services of victims. I appreciated the chance to discuss this legislation with Rep. Grove on KDKA Radio with Robert Mangino over the weekend. A link to our segment is available here. In case you missed our news conference unveiling the “Buyer Beware Act” last week, the video is available below. Our region has already been affected by a pair of winter weather events over the past week, and even more snow could be on the way this weekend. PennDOT offers a number of tips to help motorists manage dangerous driving conditions, including avoiding all unnecessary travel, keeping gas tanks at least half full, increasing following distance and carrying a winter emergency travel kit. More information on winter driving is available here. Drivers can also track the location of any of the 2,200 PennDOT-owned plow trucks during winter storms in real time. Beginning this year, all plow trucks will be equipped with an Automated Vehicle Location (AVL) system that will be viewable at www.511PA.com. The site also offers information for motorists on traffic incidents, construction, weather alerts and traffic volume. I encourage all community residents to observe all state and local transportation advisories in order to avoid hazards created by inclement weather. Stay safe and keep warm! 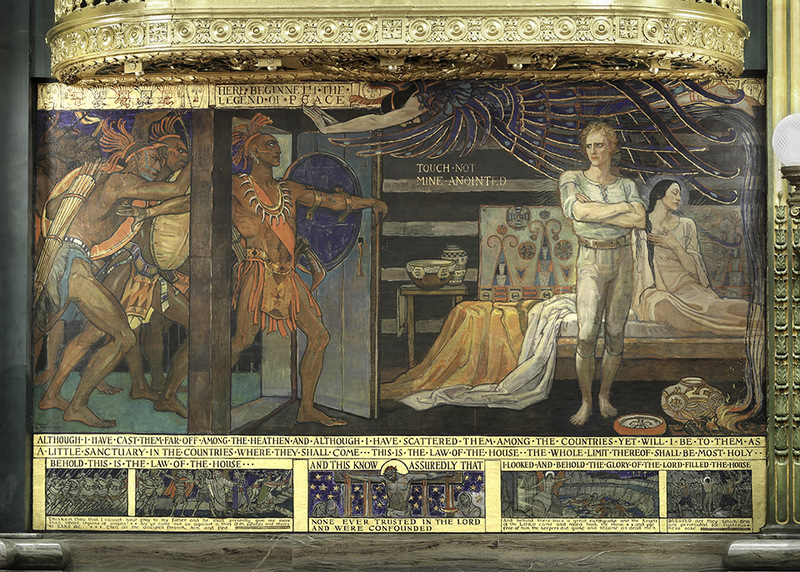 Violet Oakley earned her place among the most notable artists of the early 20th Century for her many works in the Pennsylvania Capitol Building. 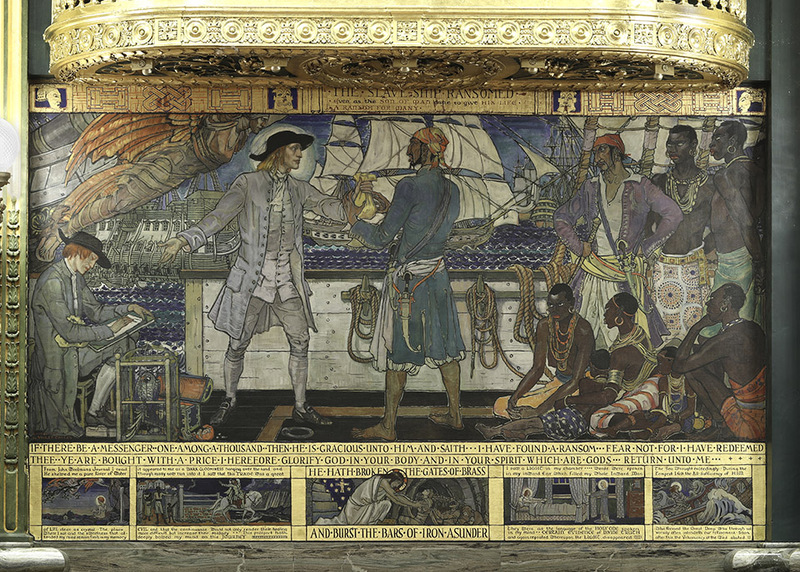 January 20 will mark the 100th anniversary of the dedication of two of her famous works at the back of the Senate Chamber: The Slave Ship Ransomed and The Little Sanctuary in the Wilderness. These masterpieces are just two of the countless number of amazing pieces of artwork on display at the Capitol. You can learn more about the incredible legacy of one of history’s most important female artists here. Ultimately, the Capitol belongs to every citizen in the state, and it stands as a testament to all of the triumphs and tribulations the people of our Commonwealth have experienced since the building’s construction in 1902. If you would like to visit the Pennsylvania Capitol Building and enjoy all of the amazing architecture and artwork on display, my office can help you schedule a guided tour of the building. Call my Harrisburg office at 717-787-7085 during normal business hours to schedule a Capitol tour today. I had a chance this week to visit one of Pennsylvania’s most famous furry residents – Victoria! 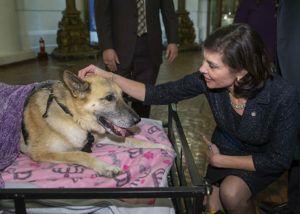 This beautiful German Shepard – who suffers from a variety of serious health ailments that she has unfortunately passed down to hundreds of her puppies from a Lancaster County puppy mill – has become a symbol of the need for stronger laws against irresponsible breeding practices. 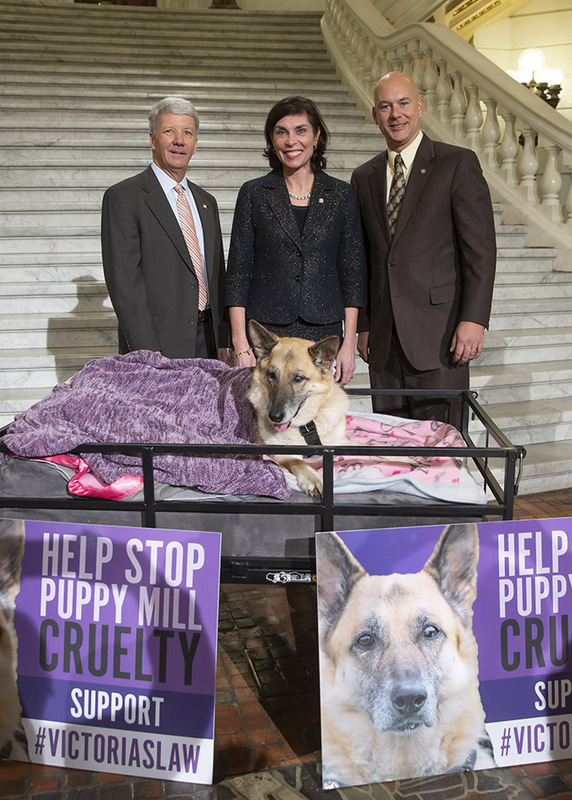 I am proud to cosponsor to Victoria’s Law, legislation that would help shift the pet market toward humane sources. The bill would require dogs, cats, and rabbits sold in pet stores to come from shelters and rescues. You can learn more about the bill here. I enjoyed another great visit to the York County School of Technology to learn more about the innovative programs available to students. The school offers a level of career focus that is unique in the education community, and there is a growing awareness of the value of vocational education in the state Capitol. 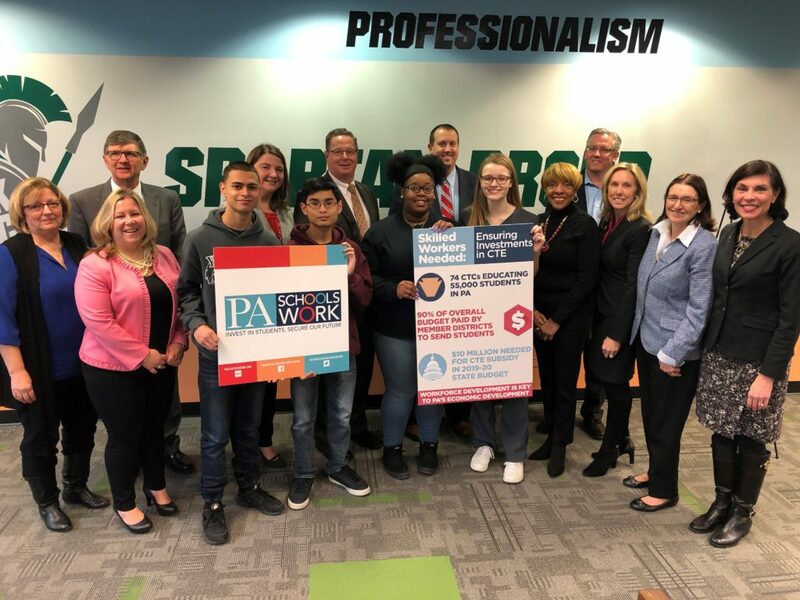 Workforce development is expected to be one of the most important topics lawmakers will consider in 2019, and schools like the York County School of Technology will continue to have an important role to play in preparing young people for the high-demand careers of today and tomorrow. Thank you for the invitation to speak, and keep up the great work! 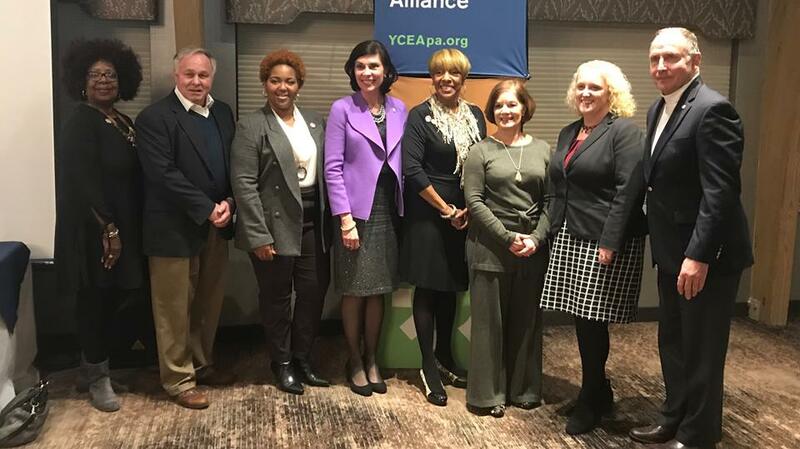 My thanks goes out to the York County Economic Alliance’s Women’s Business Center Organization for inviting me to speak at their January luncheon. I had the pleasure of joining Representative Carol Hill-Evans and York County Commissioner Susan Byrnes to speak on the issue of Women in Government. I appreciated the chance to spend time with a diverse group of women leaders from across York County!